When we post a new or update an existing article in our blog, we should use the “WordPress Update Services” to inform other sites and services. Update services are tools that can be used for external notification. 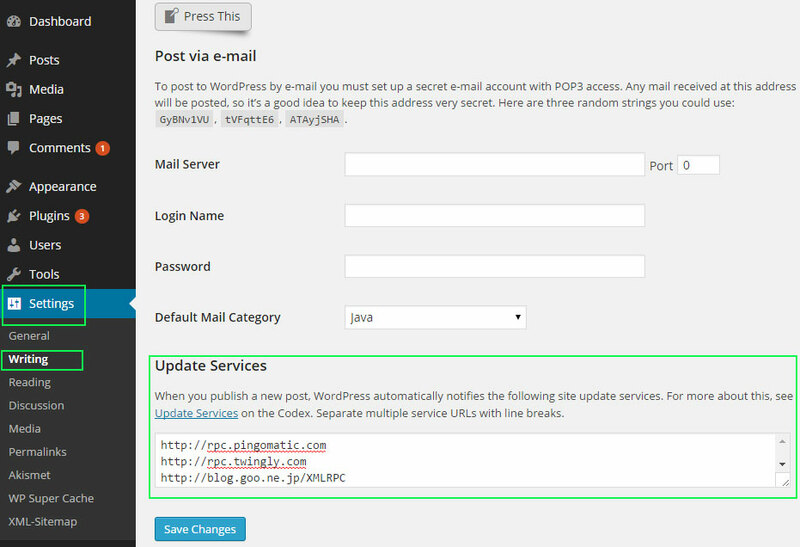 WordPress automatically notifies update services by XML-RPC ping each time when the blog is updated. Subsequently, those update services notify every individual site available in their index. WordPress Codex page is not updated for long and it contains URIs for ping services that are not active as of now. Many WordPress blogs have replicated them and all over we find the list of services that are not active. I use the Following Update Services list on my WordPress blog. I have manually verified each link and keep them updated regularly. Last updated on 26 Feb 2015. 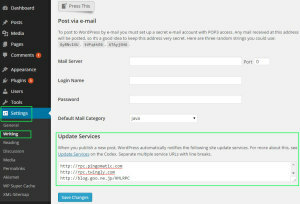 All we have to do is add the above list of update services in our WordPress admin. Go to “WordPress Admin -> Settings -> Writing” and add the following list of URIs in the field “Update Services”.